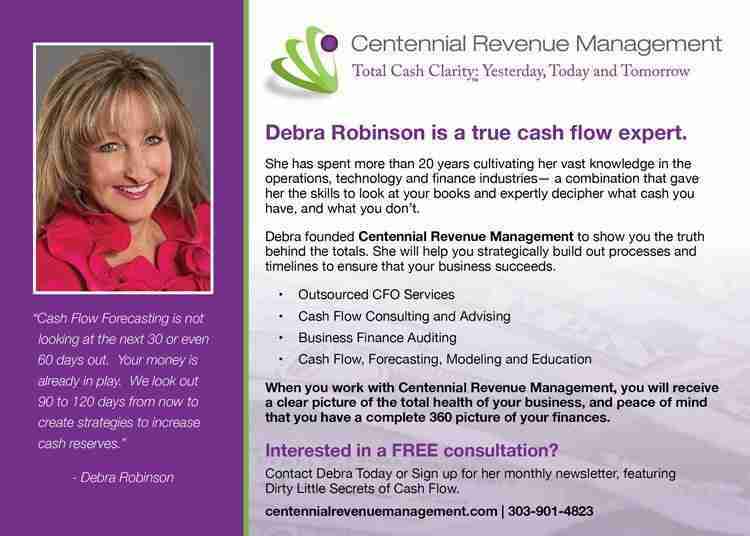 Understanding Cash Flow is a key component for a successful business. 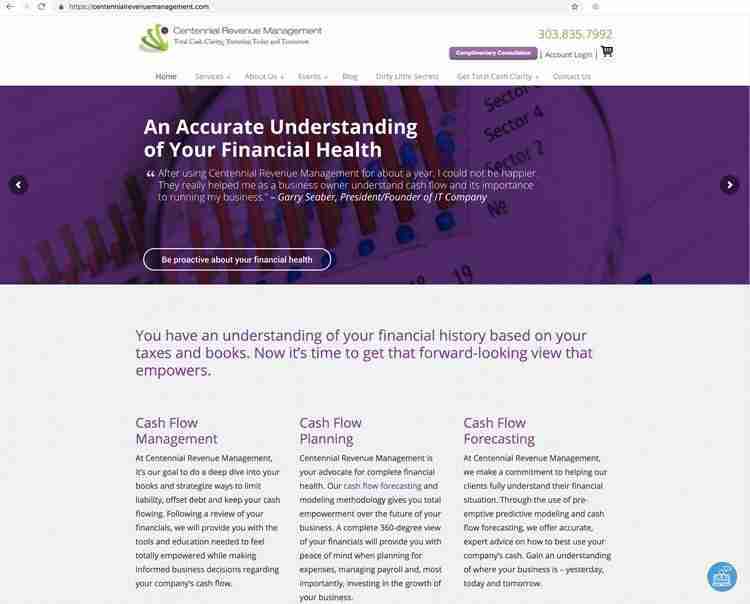 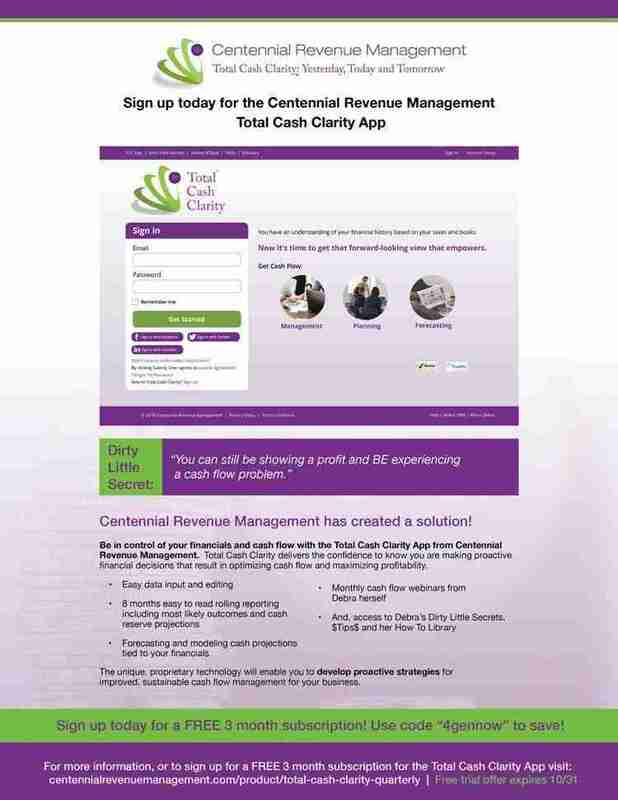 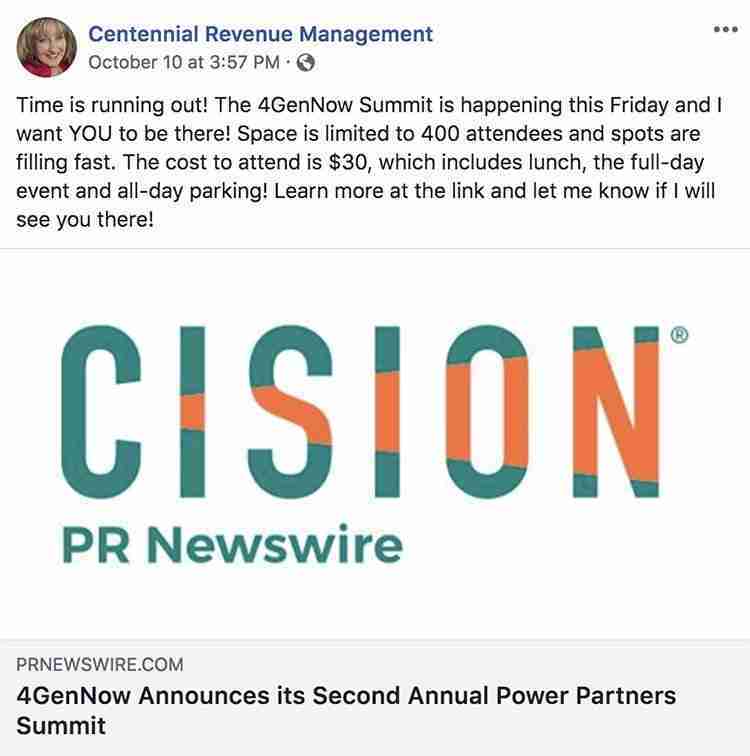 The website for Centennial Revenue Management communicates not only the importance of management, planning & forecasting, but also offers another Crazy Good Marketing service – the app! 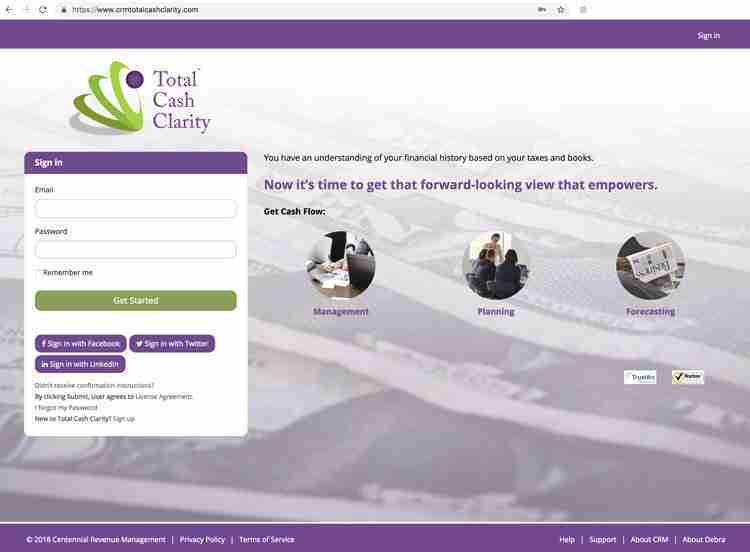 The Total Cash Clarity App is an easy-to-use app with powerful insights into your finances that comes with coaching tips and tools. 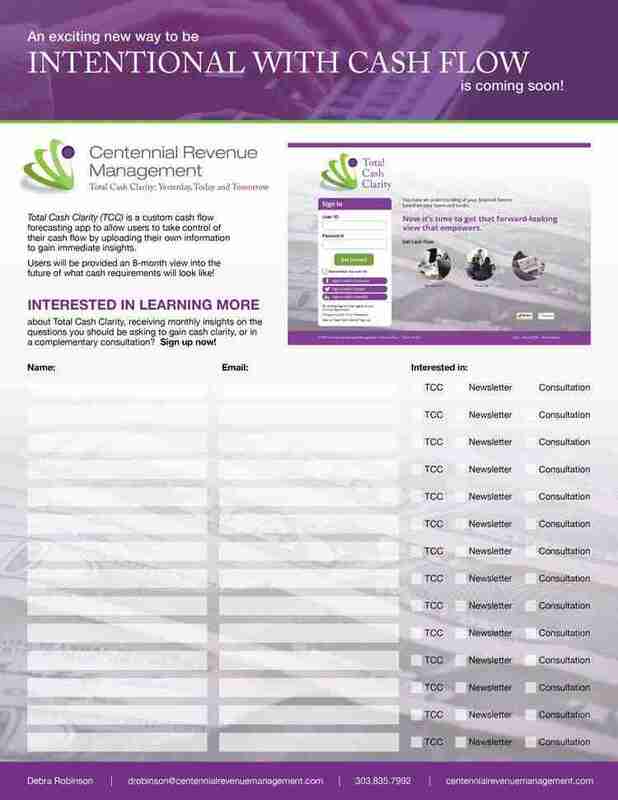 To help spread the word of the importance of Cash Flow, advertise speaking events and launch the Total Cash Clarity App, Crazy Good Marketing created printed collateral to showcase the products and services.